When making microwave popcorn I have always felt frustrated to reach in and find a handful of unpopped kernels at the bottom of the bag. I have never understood why these select kernels did not pop while others did. Looking for a solution to pop all my kernels, I learned the art of how microwave popcorn pops. On every website that google search has led me to, each one tells me: popcorn is a special kind of corn. What makes this kind of corn special? The most obvious difference between popcorn and other corn is that is pops. 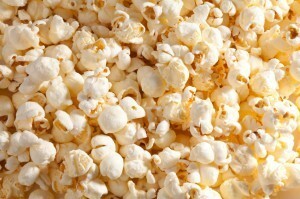 Other than its “pop-ability” , popcorn kernel contains a drop of oil and water mixed with a starch. 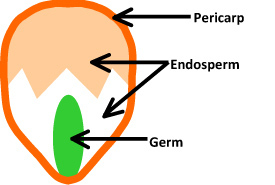 This drop, contained by the endosperm, is surrounded by a hard outer coating, or the pericarp. When the oil and water inside are heated, it turns into steam. Pressure from the expanding steam builds inside of the kernel. At approximately 180 °C, the popcorn kernel has reached its maximum amount of pressure and the kernel pop. When popcorn pops, the outer shell of the kernel is basically turning inside-out. Now that I know the science of how a popcorn kernel pops, I am curious to know why some of the popcorn kernels do not pop. Bruce Hamaker of Purdue University hypothesizes that the answer to all unpopped kernels is in the chemistry of popcorn. In his study, Hamaker looked at 14 genetic varieties of yellow popcorn. He analyzed how they popped and counted the number of unpopped kernels from 4% to 47%. The popcorn kernels that had little leftover kernels were discovered to have a stronger outer shell. A popcorn kernel’s shell is made up of cellulose. 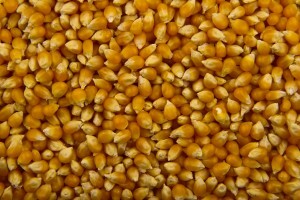 The stronger kernels were found to have a more ordered crystalline arrangement of cellulose molecules. If the shell of the kernel is strong, then the pressure will be held in longer, maximizing moisture retention. This causes a complete pop for more kernels. A weak popcorn shell can permit the oil and water inside the kernel to evaporate into the bag, which means that the pressure built up in the kernel may not be strong enough to cause a pop. So how can I guarantee that all the shells of my popcorn kernels are strong and pop-ready? The answer is chemical modification. Researchers are working on creating a popcorn with the stronger crystalline cellulose structure. The genetically modified popcorn will possess the same process of popping, it will just have a different chemical makeup. There is even a new corn plant being genetically engineered to produce this kind of popcorn with a strong shell. As an avid popcorn consumer I am reassured to know that someone shares the same unpopped kernel struggle as me. Thankfully they felt so strongly that they have set out to find a solution. I am happy to know that one day, maybe in the next 3 to 5 years, I will be able to fully enjoy the entire bag of kernels as a popped salty snack and no kernel will go unpopped. This entry was posted in Uncategorized on September 15, 2016 by Emma Murphy. This is a really interesting article related to our daily life! With such a coincidence, my roommate complained about popping popcorns to me yesterday. I will definitely show this article to her. The following link tells us how to make perfect stovetop popcorn every time. Using this method may help us pop perfect popcorns next time. Hope you guys enjoy it. I personally can relate to this struggle whole-heatedly. About one week ago I had some friends over so I decided to make popcorn. Now as a frequent popcorn consumer at home I had no worries about simply putting the bag in the microwave and watching it until it was done. I am someone who goes by the two seconds rule where if you don’t here a kernel pop within two seconds you turn off the microwave to prevent burning. However I got distracted while preparing the popcorn which led to a horrible burning smell emulating from my microwave. Now to my surprise there were still kernels un-popped underneath the mass of burnt popcorn. Reading your article finally makes sense as to why this happened! I took an Ag-Business class, due to there being no other business course options, my senior year in high school. The class turned out to be very interesting and insightful as the teacher was very passionate about the subject. We discussed a lot about how many more types of plants have been engendered to better suit the needs of humans. I guess the case of popcorn is no different. It does not surprise me that this is happening, we as humans are always trying to find ways to improve things that do not meet are standards. Personally, I would rather go for less popcorn with none burnt. So when I pop my popcorn, I let it cook until there are two second gaps in between popping sounds. 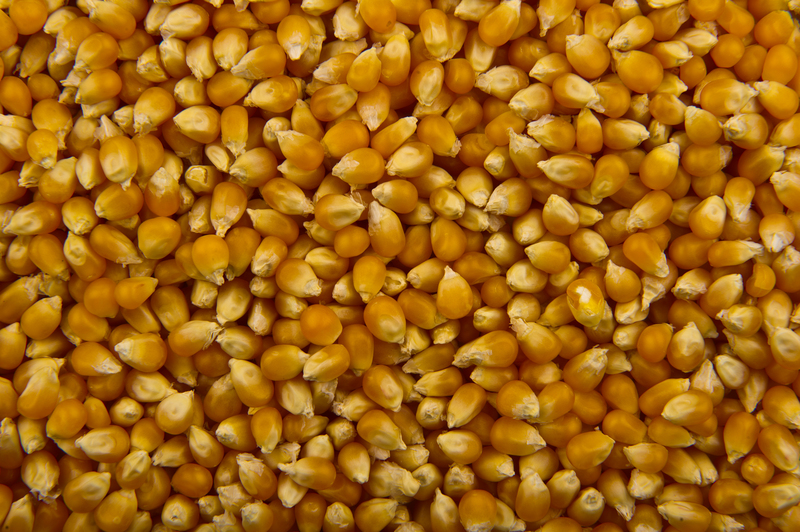 Great article and looking forward to this new genetically modified popcorn. I really enjoyed reading your blog post. I must say it is very annoying when you open up your bag of popcorn and you find the unpopped kernels at the bottom. I learned something new today I didn’t know that oil, water mixed with starch was added to corn so it can pop. You did a great job at explaining why. After all these years I thought that all corn was pop able I guess I was wrong. As a fellow lover of popcorn, I found this post very intriguing and applicable to pretty much my everyday life. There is not a worse feeling when you don’t leave the popcorn in long enough to fully pop, and it turns into a kernel nightmare. Unfortunately, microwavable popcorn isn’t so healthy, even excluding the massive amounts of butter. In this article on FOX News (http://tinyurl.com/hljnq5s), popcorns’ beloved smell comes from a nasty chemical named diacetyl, a synthetic butter flavoring popular at movie theaters and microwavable popcorn. This chemical has known adverse health effects, and workers in popcorn factories sometimes develop a condition called “popcorn lung,” an effect of inhaling the diacetyl fumes too frequently. Another problem is the chemical PFOA, a chemical lining the typical popcorn bag. It is known to cause high cholesterol and thyroid issues. Hope I didn’t scare you away from such a delicious treat. Hi – this blog post was really good and honestly, really relatable. I always hate reaching into a nice warm bag of popcorn only to feel those stupid unpopped kernels at the bottom. It’s nice to know the science & reason behind why there are so many unpopped kernels at the bottom. You did a really nice job explaining everything in a clear & concise manner. I found this post very funny but also helpful! The unpopped kernels at the bottom of the bag are so frustrating. Originally, I assumed it was the fault of the microwave, but now I know its actually the cellulose structure of the popcorn. Who knew! I found an article that does explain how a microwave dispenses the heat to cook meals. I loved this article as usually consume a bag of popcorn literally every day. I too never understood why there are so many un-popped kernels at the bottom of the bag, and it was so frustrating. Your post did an awesome job at explaining why this is! I am glad I saw this, as I learned something new about one of my favorite snacks!